To elaborate, if anybody has a reason to sue your business, they’ll be able to come after your personal assets, not just the money that you have in your business checking account. This means that, if the suit is for enough money, you could end up losing almost all of your personal possessions — your car, your savings, and possibly even your home. For many people, just reading a description of what it means to have unlimited liability is enough to get them searching for information about how to form a corporation. And that’s understandable. But before you go and spend a substantial amount of time and money forming some other type of business entity, spend a little time thinking about how big of a problem unlimited liability really is for your business. For instance, do you offer a service, or do you create and sell a product? In either case, imagine the worst-case scenario, and think about how bad it really is. Let’s say you provide a service. What’s the worst thing that could happen if everything goes wrong with a client? Does the client lose millions and millions of dollars? Does the client need a trip to the hospital? Or, perhaps, is the worst-case scenario simply that the client is out the money that you charged them? If you create and/or sell a product, do the same type of analysis. If everything goes as terribly wrong as you could possibly imagine, what happens? 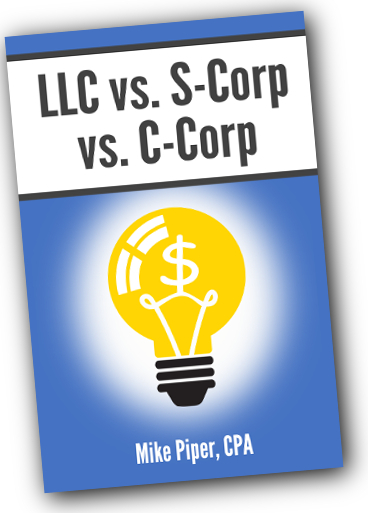 If the worst thing that you can think of isn’t really all that bad, then perhaps — despite nearly everything you read online — it isn’t necessary to incorporate or form an LLC. EXAMPLE: A self-employed author who writes and self-publishes science fiction novels probably has much less to worry about regarding liability issues than, say, a restaurant owner. As a sole proprietor you will have “unlimited liability” for any debts of the business. This means that, in the case of a lawsuit, somebody could come after your personal assets as well as your business assets. Depending upon the nature of your business, it’s possible that unlimited liability isn’t that big of a problem.